To read or download the Proposed Final budget click HERE. The Proposed Budget will be presented to the Board of Trustees and Residents on Monday, April 15th, at 7:30 PM. Mayor Schreiber has prepared a synopsis of the 2019-2020 FY Budget. To read or download the synopsis click HERE. Notice is hereby given that the Zoning Board of Appeals of the Village of Bellerose will hold a Public Hearing in Village Hall at 50 Superior Road, Bellerose Village, New York 11001 on Wednesday, May 22, 2019 at 7PM to consider the following: The application of Avrutine and Associates, agents for Steven Louros for Parking and Use for a proposed demolition and construction of a new two (2) story mixed-use building within the business district and parking of five (5) vehicles in the Residential Zone pursuant to BVC Section 210-3 and Section 210-18B, respectively. The property is located on the south side of Jericho Turnpike in the Apartment-Business District known as 250-72 Jericho Turnpike also known as Sec. 32 Blk. 41 Lots 59, 161, 158. To view or download the schedule, click HERE. The incumbents were re-elected to another two year term. Click HERE to see the election results. Click on the Justice Court link on the navigation menu. The Minutes of the February Meeting of the Board of Trustees has been posted. Click HERE to read or download the Minutes. 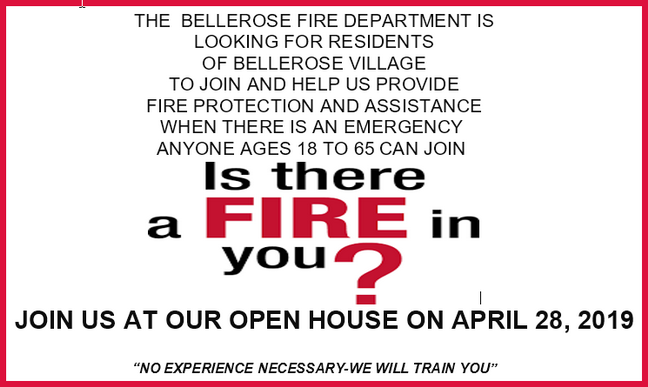 Nassau County has made funds available to residents of Bellerose Village. Additional details are available at Village Hall. Notice is hereby given that the Board of Trustees of the Inc. Village of Bellerose will hold a Public Hearing in the Village Hall, 50 Superior Road, Bellerose Village, New York at 7PM, Monday, March 25, 2019 to consider the following: Application of GKA Design Group as agents for Steven Louros for Site Plan Approval for a proposed new building and parking area within the Business District pursuant to BVC Section 45-12 located on the south side of Jericho Turnpike in the Apartment-Business District, K/A 250-72 Jericho Turnpike a/k/a Sec 32, Blk 41, Lots 59, 158, 161.
from 2:00 PM until 4:00 PM Monday through Friday. - From 2:00 AM until 6:00 AM seven days a week. 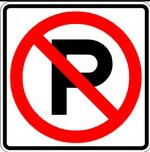 Muni-Meter Parking is in effect in Magee Plaza (LIRR Station) 24 hours a day, seven days a week. Metered Parking is in effect in the Commercial District (Jericho Turnpike and adjacent side streets) 24 hours a day, seven days a week.